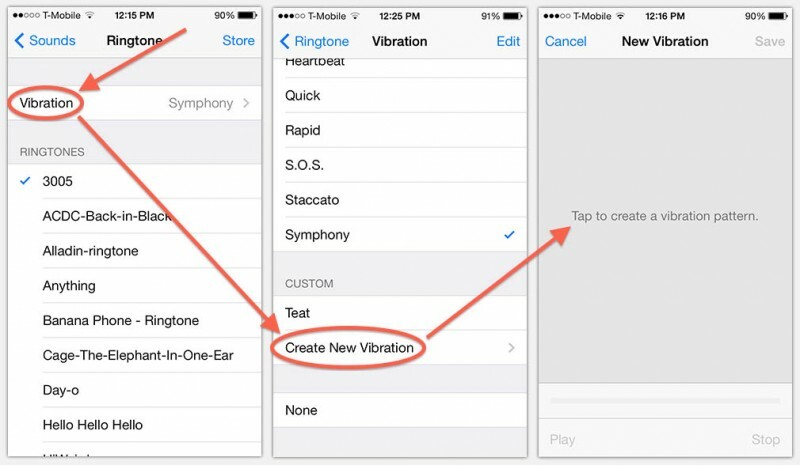 Creating your own iPhone Vibrate pattern, is actually pretty simple. It is however a feature that is well hidden in the settings of your phone. 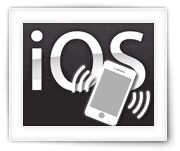 Goto Settings Sounds and tap the event you’d like to create a custom iPhone vibrate pattern for, for example “Ringtone” or “New Voicemail” (it works with all of them). In the top of the screen now tap “Vibration“. On the next page scroll all the way to the bottom where you’ll find “Create New Vibration“, tap it to enter the screen to compose your own pattern. In the upcoming screen you can now compose your own vibrate pattern by tapping the large area. Recording starts as soon as you place your first tap on the screen. As of that moment you your iPhone start recording your taps. As long as your finger is on the screen, your iPhone will record this as vibrate. Remove your finger from the screen will be recorded as a quiet moment. Your custom iPhone Vibrate Pattern can be about 10 seconds long. If you like to re-record your pattern, simply press “Record“. If you’d like to test your patter press “Play“. Use “Save” to save your pattern and give it a name. The name you just entered can now be found at the bottom of the list of vibrate patterns you can choose under the heading “CUSTOM”, just above the “Create New Vibration” button we just used to create one.